After serving on the KPEDD Board of Directors for over seven years, Dillon was appointed as the Executive Director on August 1st, 2016. 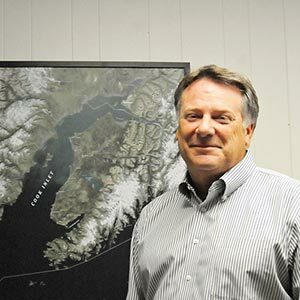 Previously, Dillon spent seven years as the City Manager for the City of Seldovia. During his tenure in Seldovia he not only brought stability but also over thirty million dollars in Federal, State, Borough and private grants. He also served as the president of the Alaska City Managers Organization for two years. Tim worked in sports and entertainment for over twenty-five years and is the immediate past president for Team Alaska. He holds a Master’s degree that is a combination of law, accounting and marketing from Eastern Kentucky University. Dillon and his family live in Kenai. Challenges for Homer businesses, what are they?